We’re actually having winter here in Atlanta this year, with proper cold (for here) temperatures and everything. No snow, much to my chagrin, but you can’t have everything. I know most people don’t like the cold, but for me, nothing beats a cozy bowl of hot soup and cuddling up under piles of blankets with the cats. I love hearty bean soups, so we went with the Black Bean and Roasted Poblano soup from the Candle 79 cookbook. I went ahead and soaked/cooked the beans in advance since I knew we’d be short on time later because we were going to a screening of the film “GMO OMG” (read all about that here). You can put the beans in the pot dry and use extra water, but every time I try to do that, I end up needing to cook soups for a lot longer. The roasting of the Poblano and red pepper is done over a gas burner. Thankfully, I have a gas stove. If not, you’d probably need to roast them in the oven, although I’ve heard of people placing them straight on the heating element of an electric stove. 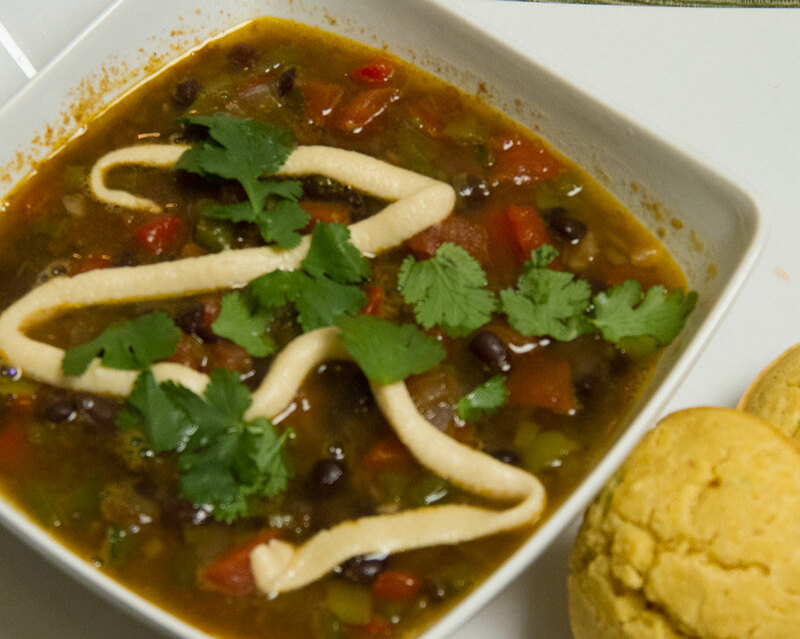 Either way, the Poblano adds a wonderful flavor that makes this soup special. The book also has a cashew crème fraiche recipe, which is recommended as a garnish. I made it the last time we made this soup and it was really good, but honestly, even making a half-batch was more than we could use. I already had some cashew cheese a la Luminous Vegans in the fridge, so I piped some of that on top of the soup instead. It was delicious. I firmly believe that it’s wrong to have soup without fresh bread, and since this soup has a Latin flair, I went with corn muffins. I always do muffins instead of a pan of corn bread. I freeze the leftovers and can just reheat them as needed. 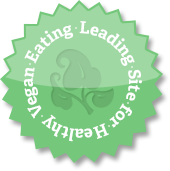 My favorite recipe for corn muffins is in 1000 Vegan Recipes. I add a little bit of frozen corn and some minced jalapeno to them for some extra oomph.